The Media Archaeology Lab (MAL) at the University of Colorado at Boulder (U.S.A.) acts as both an archive and a site for what the authors describe as ‘anarchival’ practice-based research and research creation. ‘Anarchival’ indicates research and creative activity enacted as a complement to an existing, stable archive. In researching the One Laptop Per Child Initiative, by way of a donation of XO laptops, the MAL has devised a modular process which could be used by other research groups to investigate the gap between the intended use and the affordances of any given piece of technology. What follows in part one is an overview of the philosophy and holdings of the Media Archaeology Lab (MAL), based at the University of Colorado at Boulder (U.S.A), along with a summary of its key ongoing activities. We discuss the MAL in terms of conventional notions of the archive and more anarchic notions of the anarchive as developed by Siegfried Zielinski, University of Toronto’s WalkingLab, and Concordia University’s Senselab. Part two of our article focuses exclusively on our One Laptop Per Child (OLPC) XO Mesh Network Project and the four-part set of guidelines we have developed as a result of this project and as a way of documenting our anarchival process. Though our anarchival process is a living document and thus subject to change and revision, our guidelines serve as an initial point of consideration for future case studies. By approaching the OLPC XO collection anarchivally, we suggest a novel approach to assessment and to knowledge creation related to this specific technology, while also suggesting how these guidelines might be developed to approach other technologies. Thus, since 2009, when we founded the Media Archaeology Lab, the lab has become known as both an orderly and an unruly place. On the one hand, the MAL’s extensive collection of still functioning media from the late nineteenth century through the twenty-first century has been carefully accessioned and catalogued, and we have also created disk images of all our valuable pieces of early digital art and literature. If you visit the lab, you will be greeted by roughly one hundred and thirty years’ worth of media to turn on, play with, open up, create with, move around, and juxtapose with other media. Our oldest media objects range from a camera from 1880, a collection of early twentieth-century magic lanterns, and an Edison diamond disc phonograph player from 1912. Our more recent media range from the desktops, laptops, luggables, portables, and game consoles from the mid-1970s through the early 2000s. We also have a collection of printed matter and software from the 1950s through the 2000s. Highlights of the collection include: a 1976 Altair 8800b; a 1981 desktop computer from Sweden; a 1984 Vectrex game console; a 1986 desktop from East Germany; and a rare 1987 ‘advanced work processor’ called the Canon Cat computer. On the other hand, the MAL changes from year to year, depending on who is in the lab and what donations have arrived at our doorstep, and thus it undoes many assumptions about what archives as well as labs should be or do. As a testament to the flexibility and open-endedness of the MAL, in the last three years (coinciding with the opening of the new Intermedia Arts, Writing, and Performance PhD program at CU Boulder) the lab’s vitality has grown substantially because of the role of three PhD students affiliated with the program. These students have been invited to develop their own unique career trajectories in and through the lab. One student, who wishes to obtain an academic position after graduation, has created a hands-on archive of scanners in conjunction with a dissertation chapter, soon to be published as an article, on the connections between the technical affordances of scanners and online digital archives. Another student, who wishes to obtain a curatorship after graduation, founded an event series called MALfunctions, which pairs nationally and internationally recognized artists with critics on topics related to the MAL collection; this student also arranges residencies at the lab for these visiting artists/critics who, in turn, generate technical reports on their time spent in the MAL; furthermore, as a result of her work with this event series, she has been invited to serve as a curator for an annual media arts festival at the Boulder Museum of Contemporary Art. Finally, another student (and a coauthor of this essay), who wishes to pursue a career in alternative pedagogical practice outside of higher education, has started a monthly retro games night for members of the CU Boulder community; she also is running monthly workshops teaching students and members of the public how to fix vintage computers and game consoles and the basics of surveillance and privacy. Thus, unlike archives or labs that are structured hierarchically and driven by a single person with a single vision, the MAL takes many shapes. It is, as we write above, an archive for original works of early digital art/literature and their original platforms; it is also an apparatus through which we come to understand a complex history of media and the consequences of that history; it is a site for artistic interventions, experiments, and projects; it is a flexible, fluid space where students and faculty from a range of disciplines can undertake practice-based research; it is a space where graduate students come for hands-on training in fields ranging from digital humanities, literary studies, media studies, and curatorial studies to community outreach and education. In other words, the MAL is an intervention in the notions of ‘archive’ and ‘lab’ insofar as it is a place where, depending on your approach, you will find opportunities for research and teaching in myriad configurations and a host of other, less clearly defined activities made possible by a collection that is both object and tool. The MAL has also evolved into a ‘real life’ and virtual community enterprise: it has an international advisory board of scholars, archivists, and entrepreneurs; faculty fellows from across the CU Boulder campus; and a regularly rotating cohort of undergraduate interns, graduate research assistants, post-graduate affiliates, and volunteers from the general public who help with class tours and guest visits to the lab. We also host media studies reading groups, artist residencies, an event series called MALfunctions, retro game nights, and workshops on how to fix old or new devices and even on how to build mesh network, as we discuss in part two. The more MAL becomes a communal enterprise, the more it also appears open and accessible to all kinds of people who themselves may have no background in programming or tinkering or making or building, but who understand that we are increasingly compelled to have some understanding of how our everyday technologies work and how we might build alternatives. The objects in the MAL demonstrate how determinisms (ideological and otherwise) are built into technologies of the past, and they do this partly as a result of hands-on interactions with them and partly as a result of experience with the ways in which objects in the lab depart from our present-day expectations. They show how technological determinisms are historical, and therefore changeable, according to the values and concerns we develop. What follows is a description of one particular archival/anarchival project on which we have been working in the MAL since 2017. By presenting this project, we wish not only to describe thoroughly one possible activity one might undertake archivally/anarchivally in the lab, but also to explore the ways in which such an activity has the potential to guide other hands-on experiments with obsolete technology. In other words, while we are suggesting a novel approach to assessment and knowledge creation related to this specific technology, we hope this can serve as a model to approach other technologies within and beyond the MAL. In early 2017, the MAL received a donation of twenty OLPC XO laptops, opening up an avenue for hands-on research into and critical consideration of the history, implementation, and outcomes of the OLPC project. The OLPC initiative was founded in 2005 by then MIT Media Lab Director Nicholas Negroponte with the following mission: ‘to create educational opportunities for the world’s poorest children by providing each child with a rugged, low-cost, low-power, connected laptop with content and software designed for collaborative, joyful, self-empowered learning’ [OLPC n.d.-e]. The goal was to design and manufacture laptops which could be sold en masse to governments or Non-Governmental Organizations involved in educational programs for $100, approximately 1/10th the cost of the average laptop at the time. The project was originally funded by member organizations including eBay, Red Hat, Quanta, and Google [OLPC n.d.-g]. As the project continued, the price never actually dropped to $100 and the initiative faced backlash from one-time member Intel and a dramatic drop in overall funding. Thus, the OLPC project was immediately polarizing. Positive responses came from within the tech industry, evidenced by the support of the member organizations willing to give funding to the initiative. Several governments also responded positively with a willingness to sign up for the laptop distribution program, including Uruguay, Rwanda, and Peru. Negative responses came from the tech industry and from diplomats and leaders from countries in the target market. Marthe Dansokho of Cameroon was quoted at the 2005 World Summit on the Information Society held in Tunisia as saying, ‘What is needed is clean water and real schools.’ At the same Summit, Mohammed Diop of Mali stated, ‘It is a very clever marketing tool. Under the guise of non-profitability hundreds of millions of these laptops will be flogged off to our governments’ [Smith]. Bill Gates was skeptical of the project when it was proposed at Davos [Olson] and Lee Felsenstein, in a blog post written shortly after the initiative was founded, noted that ‘By marketing the idea to governments and large corporations, the OLPC project adopts a top-down structure. So far as can be seen, no studies are being done among the target user populations to verify the concepts of the hardware, software and cultural constructs’ [Felsenstein]. Criticism notwithstanding, beginning in 2007, laptops were distributed in 42 countries [OLPC n.d.-a]. Philosophically, the OLPC project was based on an educational foundation derived from the work of Seymour Papert. ‘Constructionism’ was name of the philosophy Papert developed around principles of student-centered, active learning; Papert’s philosophy, in turn, was based on the work of Jean Piaget and his notions of Constructivist ontology. The active, discovery-based, unstructured learning process advocated by Papert formed the central tenet of the hands-off methods central to the OLPC initiative. This hands-off method drives the belief that the XO laptops, through their careful design, can be handed to children in any situation, who will simply figure out how the devices work and progress via self-guided learning without the aid of a teacher. Negroponte also took inspiration from Sugata Mitra’s ‘Hole-in-the-wall’ project, which called for learning with no or minimal interaction from an instructor [Venkatraman]; Mitra’s project inspired Negroponte to pursue implementation plans which included possible helicopter drops of XO laptops in remote locations [OLPC News]. Even though the OLPC project is effectively over, research on the overall effectiveness of the initiative is ongoing. Most studies have so far suggested that the success of the implementation depends on whether devices are properly integrated into classrooms, whether there is appropriate teacher education with regard to laptop use and pedagogical deployment, and whether there is a general enthusiasm around the project in the target community. Thus, since these devices have what one might call ‘contextual baggage’ as part of their associated global education project, their presence in the broader MAL collection has special significance as a clear illustration of the nature of top-down technological solutions to global problems. By providing opportunities for active exploration, the MAL opens up all devices in its collection to a consideration of their complexity through an investigation of their affordances. As we point out above, by design the MAL is both an archive housing these and other devices and a lab for experimental work and knowledge creation. It provides space for archiving but also for moving beyond and through the archive (Fig. 1). At first glance, the XO collection exists as a static set of objects - nothing more than a pile of plastic and electronics in bright and ostensibly friendly colors sitting in a corner of the lab. In other words, these devices fit neatly into the least generous definition of archive as a collection of things in their original state which are usually only considered in terms of their place in whatever has been deemed ‘history.’ The aforementioned is true of any object in the MAL. If they are not activated, they are lifeless. Furthermore, while the XO collection could be used to illustrate the laptops’ original intended use, thereby demonstrating their capacity within that sphere (for example, as an educational tool for children in underserved communities and developing countries), if the collection of XO laptops is only activated in this way it runs the risk of simply replicating the outcomes for which the OLPC project’s initial implementation has been criticized. The archival impulse in this scenario is necessarily backwards-looking, where any attempts to reframe or reimagine the devices are bound to be purely abstract in the sense that they would merely serve the original intentions and even ideological purpose of the OLPC project. Thus, the MAL’s research on the XO laptops is intended to move beyond simple situational replication and into active critique. In other words, we are constantly seeking ways to activate our collection which will enable us to examine the hardware and software independently of their original associations. By reflecting on the relationship of the technology to its broader socio-political context, we are able both to provide space for critique and to create pathways for future action. While the impulse is normally to dismiss a piece of technology entirely when the broader project of which it is part is unsuccessful or problematic, we are suggesting that the alternative is to reframe the technology in terms of its real potential and address how its associated project fell short of this potential. The challenge is to accept the technology for what it can do and compare these capabilities with what the technology was designed to do. Our desire to do something new with the laptops, as opposed to preserving them in place, was, again, a decidedly counter-archival one. Preserving in place, in the case of the XO laptops, seemed to give implicit approval to the OLPC project as a whole without offering any space to negotiate and understand the project’s successes and failures, both ideologically and technologically. Instead of figuratively and metaphorically placing the history of these devices on a shelf, ready to be abstracted and transported into a conventional narrative, we wanted to take the opportunity to confront the project’s history by experimenting with the devices’ aforementioned real potential activated via its functionalities; for example, the XO laptop is particularly well suited to low and/or variable power consumption and mesh networking. Also, by expressing the capabilities of the hardware and software within the scope of what they seem well suited for rather than within the scope of what they were intended for, we hope to find a perspective from which accurately to critique a project like OLPC, which had both complex intentions and outcomes. We want to be clear that our OLPC project is not intended to be scientific and it refuses a prescriptive methodology in favor of offering guidelines which we hope can be adapted to the circumstances of any particular research group. By proposing an explicitly open-ended and modular anarchival process for the lab, we are suggesting a way of channeling the counter-archival impulse. For our purposes, we are revising University of Toronto WalkingLab’s definition of the anarchive as ‘an activity that resists mere documentation and interpretation in favour of affective and material processes of production, where archival “technicities” create new compositions and new nodes of research’ [WalkingLab]. Combining this with the notions expressed by Zielinski, we are declaring that the anarchive is deliberate activity which resists collection, documentation, and abstraction in favor of affective, concrete knowledge production wherein the archive is activated in order to create new directions for critique and research. The anarchive is best defined for the purposes of the Immediations project as a repertory of traces of collaborative research-creation events. The traces are not inert, but are carriers of potential. They are reactivatable, and their reactivation helps trigger a new event which continues the creative process from which they came, but in a new iteration. Thus the anarchive is not documentation of a past activity. Rather, it is a feed-forward mechanism for lines of creative process, under continuing variation. 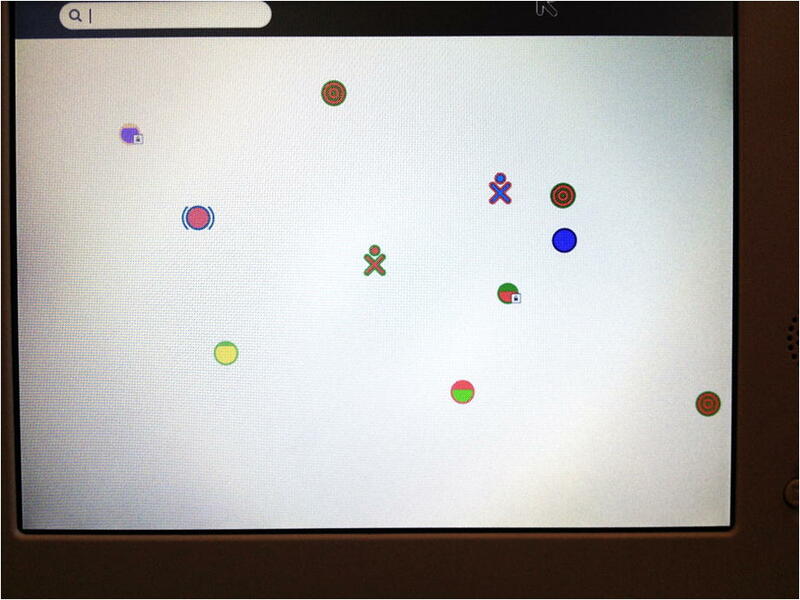 Once again, the aim of this project is to construct a range of situations and interactions with the OLPC XO’s which take advantage of the particular innate qualities of the OLPC XO hardware in order to imagine alternative potential uses. Iterating different versions of these interactions/situations will, ideally, generate a course of action for an anarchiving process which extends beyond the OLPC project. With the formation of a process which is fundamentally both iterative and generative, we hope that future projects carried out in the lab will build upon this anarchiving framework. The questions we have sought to answer over the course of the project are: what relationship does a technology have to its intended deployment? Does everything need to be preserved in its original state? Can the process of engaging with the technology be preserved without the content? And, is it critically productive to interrogate the functional reality of an object and re-deploy it for new (potentially better suited) ends? In answering these questions within the framework proposed, the goal is both to examine this particular example of technology and also to create a framework for a process-based examination of technologies which can be transferred to other devices held in similar archives. The questions we have sought to answer require both that we examine the technology itself and work outwards; they also require that we examine the history and context of the technology within the context of the project for which it was designed and deployed. As such, initially we surveyed the technical specs of the hardware and software package that make up the XO. This survey was undertaken both by examining the laptops physically and interacting with them as a user, and also by accessing various online documentation about the device. 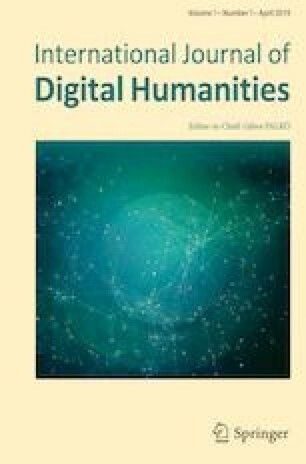 This was a necessary step in order to understand the value of the device as it stands, rather than resting on the assumptions gleaned from press coverage as well as personal and academic accounts. In addition, we researched both the OLPC initiative as it was first conceived, the immediate and ongoing critical response to the project, and the outcomes thus far from its various implementations. 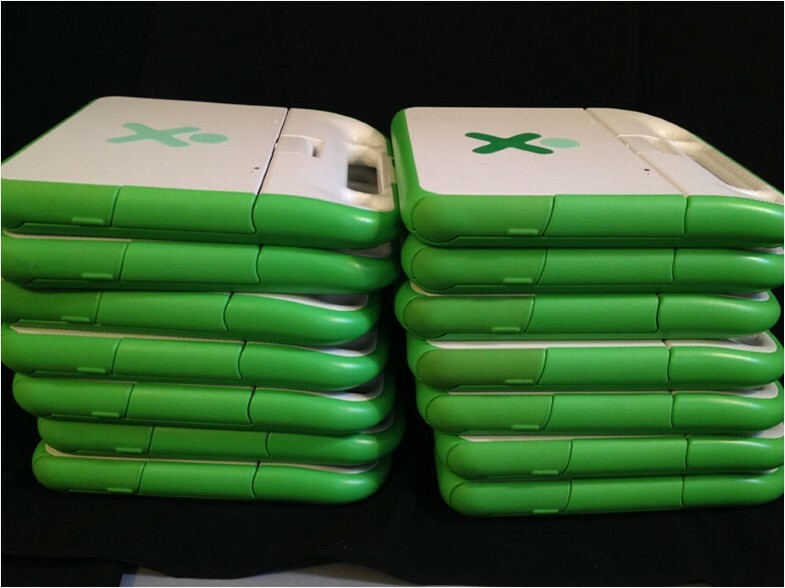 The OLPC project is at present largely defunct, but the XO laptops are still in use in several countries, including Uruguay and Ethiopia, and they are still being deployed in these contexts by various non-governmental entities and other organizations with an educational mission. The research we conducted has largely been through reports available publicly, though some anecdotal information has been collected as well, including the origins of the MAL collection. The MAL collection was donated by one of the entities referenced above, a church mission group which purchased the devices for use in Ethiopia. This contextual research was necessary to understand the archive from which we were drawing, through which we were moving, and from which we were exiting. Become familiar with the context of the archived technology and understand the intended manifestation of the technology, both of which are necessary in order to move beyond them. Understand the technology itself. Conduct hands-on research in order to determine the technology’s capabilities and failings. This might take the form of using the device as a primary computer for an extended period of time. Conduct hands-off research as a supplement to this process, especially if there is something one cannot learn by hands-on use. This might take the form of reading manuals or other documentation. Document what is discovered during hands-on versus hands-off research. In terms of software, the XO laptops were designed with the idea that the user not require fluency in any particular computer language and not even have to have any previous experience with computers. Surprisingly, in our own informal studies conducted in and around the MAL, we found the foregoing generally holds true. We gave XOs to people with varying degrees of computer literacy and they were all able to navigate the basic functions of the device within a very short period of time. Text documents, camera, and games are all readily findable within a few minutes of opening the laptop. In fact, we observed that the way in which all of our testers are accustomed to the standards of computer layout and interface normalized by Windows and Apple ecosystems is a hindrance, as these users were forced to overcome their own presuppositions about interface design in order to familiarize themselves with the laptops. However, we also noted in our users’ interactions that there were some pieces of information about the devices not easily obtained by interaction alone and this required investigation in the secondary documentation available online. Because open source is one of the tenets of the OLPC project, the documentation of hardware and software specifications is extensive (Fig. 2). In terms of hardware, the XO laptops were also designed to be easy and intuitive to navigate, durable, and connectable. The devices also require little power and have variable power consumption which is directly tied to the software activities and the hardware use. Devices have a wifi module which, in conjunction with the Sugar OS, is tailored towards transmission. In addition, devices which are in low power mode or even powered off can still be used as transmitters, all of which makes the laptops ideal for mesh networking. Broadly speaking, a mesh network is a dynamic, nodal networking model that exists as a complement to the traditional single-access-point network familiar to most internet users. More specifically, a mesh network is an ad hoc, node-to-node network connection whereby each node provides and accesses a signal, as opposed to a direct connection with a single signal source. The XO laptops were designed for mesh networking in order to amplify an internet signal in areas with minimal connectivity, and the devices could use a single access point (ethernet line, satellite phone connection, landline) to provide internet access to many devices. 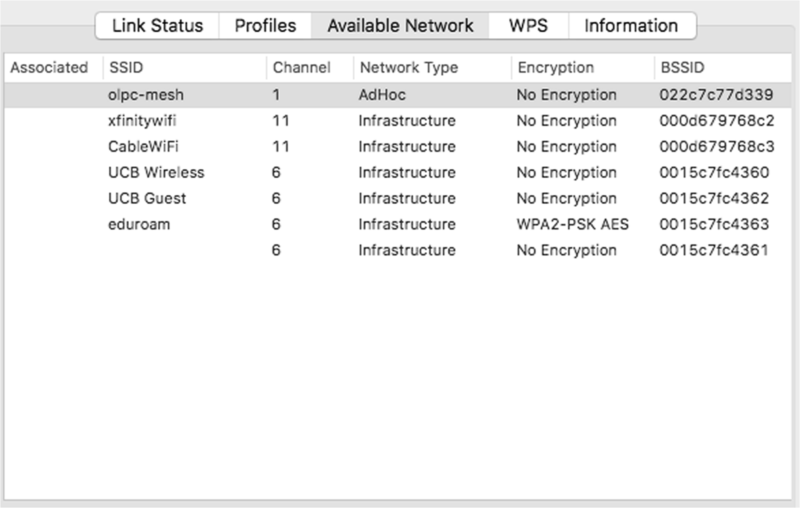 The XO laptops can also connect to one another wirelessly even when no internet signal is available to facilitate data sharing on a local network (Fig. 3). Based on the information gathered during our survey of the physical capabilities of the XO laptops, we are in the process of creating a cross-campus mesh network using solely these devices which act as communication nodes and transfer points. In the case of our OLPC Mesh Network project, the event or active process is the individual instantiations of network connectivity and the interactions made possible therein are the byproducts. When we treat the XO laptops as the objects in this case, it becomes clear they are ideal facilitation devices for the networking event rather than containers for it. If a network is not initiated and a place for connectivity is not created, the devices return to the archive and are no longer participants in the anarchival process. They can, however, always be reengaged for new instantiations of the network. We have so far formed active networks in both formal and informal sessions. Each network activation builds upon previous activations. Thus, while our first session involved two devices and two individuals working simultaneously in a shared text document, by the fifth session, the laptops had been ‘abandoned’ in a building with their network active so that users would interact with the network as they encountered it. Every instance of the network has involved a shared text document because this has proven the best method for provoking and promoting interactions that will leave evidence of the network’s existence. However, just as the nature of the network is ephemeral and ad-hoc, the evidence of the network is fleeting. If it is not preserved at regular intervals during the event, it is possible for a participant to erase all traces of their participation or all traces of any participation. In this case, the anarchive carries out its function as an external energetic force around the archive, escaping the function of the archive as a located, documented, and catalogued entity. In other words, the counter-archival impulse expressed earlier is continued through these anarchival activities, wherein preservation neither is the goal nor is desirable. We have not yet reached the point of resolving the archive and the anarchive. In spite of this, the anarchival process is in constant conversation with the archive and with the contextual information surrounding the physical manifestation of the archive. Without consideration of the history held within the archive, the next path for anarchival activity would not be so clear. Our research into the OLPC remains incomplete, as our anarchival activity around the OLPC Mesh Network Project is ongoing. Though our four-step anarchival process is a living document and as such is subject to change and revision, our guidelines serve as an initial point of consideration for future case studies. The anarchival process presented serves as an extension of the archival function served by the Media Archaeology Lab and a supplementary activity which enlivens the archive as it stands. By approaching the OLPC XO collection anarchivally, we are suggesting a novel approach to assessment and knowledge creation related to this specific technology. We are also developing a model for approaching other technologies within or beyond the MAL. Felsenstein, L. (2005, November 10). Problems with the $100 Laptop. The Fonly Institute. Retrieved from http://www.fonly.typepad.com/fonlyblog/2005/11/problems_with_t.html. McArthur, V. (2009, September). Communication Technologies and Cultural Identity: A Critical Discussion of ICTs for Development Paper presented at the IEEE Toronto International Conference: Science and Technology for Humanity, 2009, Toronto, Canada, 910–914. https://doi.org/10.1109/TIC-STH.2009.5444367. Media Archaeology Lab (n.d.). Retrieved from http://mediaarchaeologylab.com. [Last accessed 21 February 2018]. OLPC (n.d.-a). About The Project > Countries. laptop.org. Retrieved from http://laptop.org/about/countries. OLPC (n.d.-b). Laptop. Retrieved from http://laptop.org/en/laptop/index.shtml. OLPC (n.d.-c). Laptop Hardware > Specs. Retrieved from http://laptop.org/en/laptop/hardware/specs.shtml. OLPC (n.d.-d). Mission. Retrieved from http://laptop.org/en/vision/mission/index.shtml. OLPC (n.d.-e). Vision. Retrieved from http://laptop.org/en/vision/index.shtml. OLPC (n.d.-f). Vision > History. Retrieved from http://laptop.org/en/vision/project/index.shtml. OLPC (n.d.-g). Vision > Mission > FAQ. Retrieved from http://laptop.org/en/vision/mission/faq.shtml. Olson, P (2006, March 16). Gates Pours Water on $100 Laptop. Forbes. Retrieved from https://www.forbes.com/2006/03/16/gates-laptop-microsoft-cx_po_0316autofacescan06.html#42282ce43e38. SenseLab (n.d.). Anarchive – Concise Definition. Retrieved from http://senselab.ca/wp2/immediations/anarchiving/. Smith, S. (2005, December 1). The $100 laptop – is it a wind-up? CNN. Retrieved from http://edition.cnn.com/2005/WORLD/africa/12/01/laptop/. Venkatraman, V. (2011, December 7). I want to give poor children computers and walk away. New Scientist. Retrieved from https://www.newscientist.com/article/mg21228425.500-i-want-to-give-poor-children-computers-and-walk-away. Vota, W. (2006, November 17). An implementation miracle. OLPC News. Retrieved from http://www.olpcnews.com/implementation/plan/implementation_miracle.html. WalkingLab (n.d.). Walking Anarchive. Retrieved from https://walkinglab.org/portfolio/walking-anarchive/.